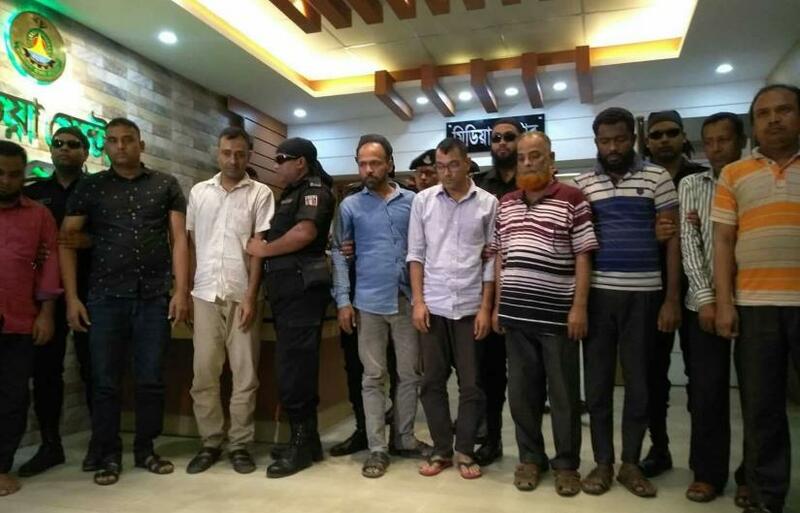 Rapid Action Battalion (RAB) has detained 16 suspected active members of an organized fraud gang in Dhaka. A team of RAB-4 held them from the different areas of the capital on Monday (Apr 16) night, said its Additional DIG Chwodhury Manzurul Kabir. The detainees have been identified as Linkon alias Masud alias Prashanta Kumar Saha, Hasan Zia, Shakir Ali Shakil, Jannatul Ferdous Russell, Selim Sarder, Sheikh Zakir Hossain, Abdul Kader Sharif, Humayun Kabir, Khalilur Rahman, Ismail Hossain, Rakibul Islam alias Samrat, Abul Hossain alias Saimun, Keramat Hossain, Rubel Biswas, Kamruzzaman and Saiful Islam. RAB official DIG Kabir said that the gang had been conning people over the last eight year. They beguiled people with promises of providing government jobs, but instead they acquired thousands of Taka from the job seekers. At least 150 people have been cheated by them, he added.